IPF Approved and GPC Compliant. 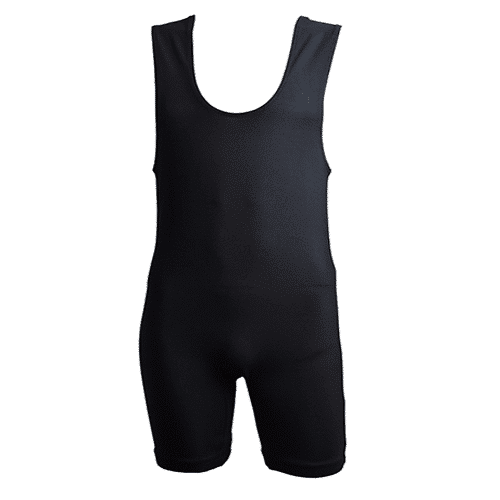 Our classic singlet, embodiying our traditional design. Sewn in Texas by experienced seamstresses using our revolutionary Comprexx© fabric. Made specifically for powerlifting. IPF Approved. Our classic singlet, embodiying our traditional design. Sewn in Texas by experienced seamstresses using our revolutionary Comprexx© fabric. Made specifically for powerlifting. 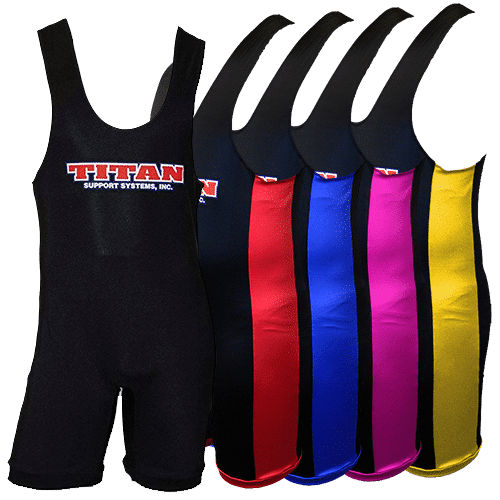 Triumph Solid Colour and Multi Colour Singlets. Double (IPF) and Single Crotch (IPF/GPC). IPF Approved and GPC Compliant. 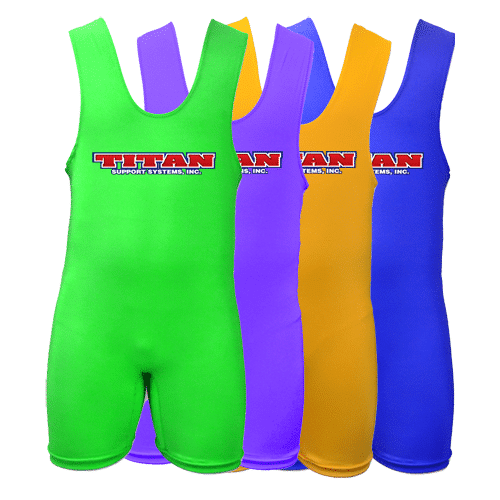 Renowned Titan Classic Singlet with the Titan Australia logo. Our classic singlet, embodiying our traditional design. Sewn in Texas by experienced seamstresses using our revolutionary Comprexx© fabric. Made specifically for powerlifting. IPF Approved and GPC Compliant. Modern, stylish and aesthetic - the Titan Triumph illuminates your presence on the platform. Sewn in Texas by experienced seamstresses using our revolutionary Comprexx© fabric. Specifically made for powerlifting. 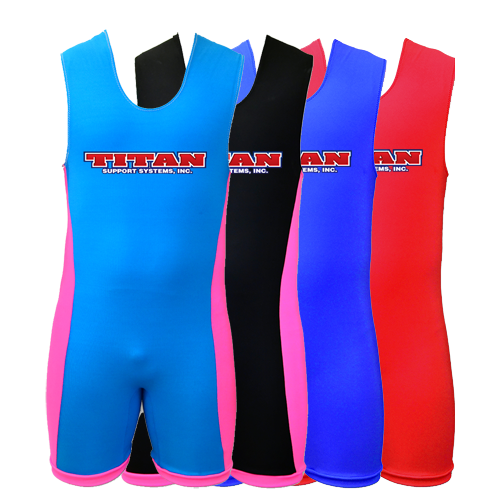 Titan Classic custom singlet. IPF Approved, GPC Compliant. Completely custom blank singlet with rapid 3-day turnaround. We add your logo, name or custom graphics. IPF Approved and GPC compliant. Modern, stylish and aesthetic - the Titan Triump illuminates your presence on the platform. Sewn in Texas by experienced seamstresses using our revolutionary Comprexx© fabric. Specifically made for powerlifting. IPF Approved. Modern, stylish and aesthetic - the Titan Triump illuminates your presence on the platform. Sewn in Texas by experienced seamstresses using our revolutionary Comprexx© fabric. Specifically made for powerlifting. IPF Approved, GPC Compliant. 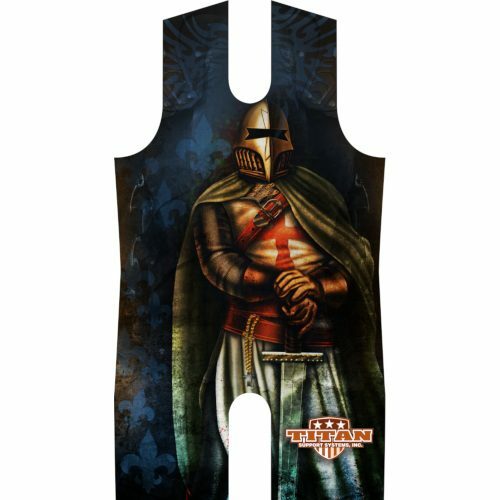 The Medieval Knight Singlet is the embodiment of the medieval and feudal Europe. 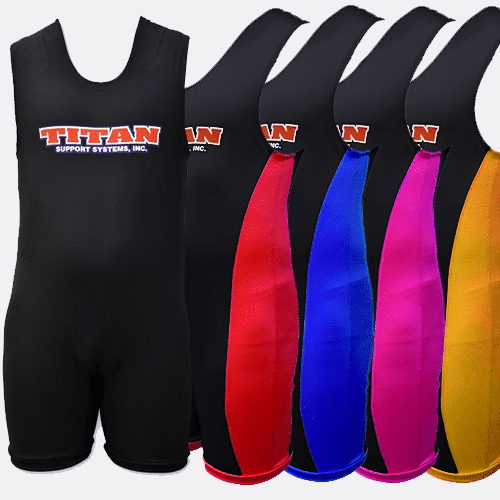 Made with our revolutionary Comprexx© colours, aesthetic cut with vibrant sublimation-dye colours. IPF Approved, GPC Compliant. 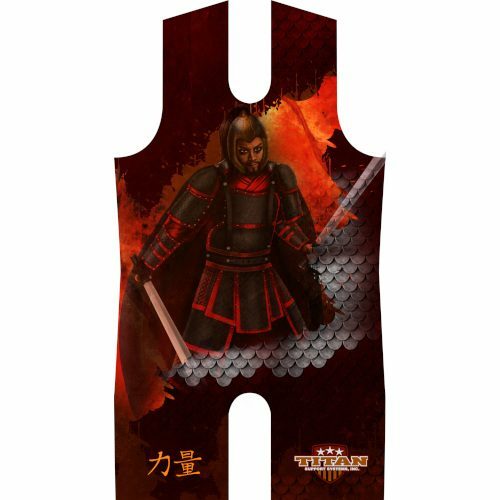 The General Yue Fei singlet pays homage to the legendary Han Chinese general known as Yue Fei. His name is synonymous with loyalty and devotion. Aesthetic design with modern cut using our revolutionary Comprexx© fabric. IPF Approved, GPC Compliant. 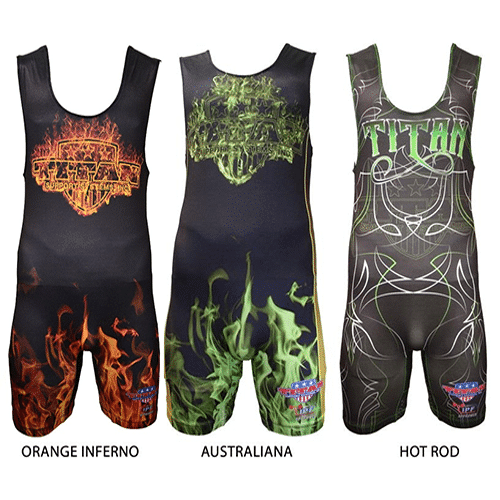 The Bushido-Samurai singlet is the result of the creative expression of a leading U.S. based artist. The singlet embodies the Samurai culture and Bushido code. Sewn in Texas by experienced seamstresses using our revolutionary Comprexx© fabric. Specifically made for powerlifting. IPF Approved, GPC Compliant. 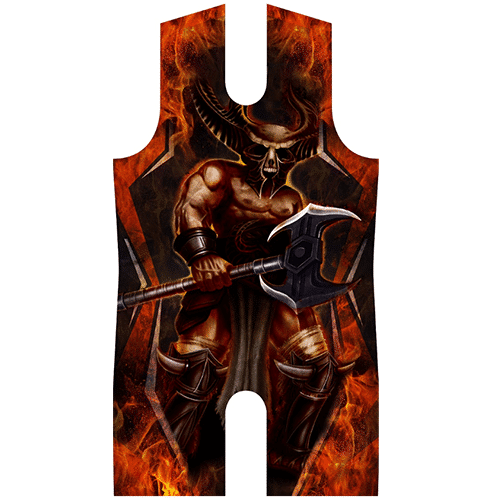 The Raging Barbarian singlet is the result of the creative expression of a leading U.S. based artist. The singlet reflects the age of the Barbarians; where Huns and Ostrogoths ran rampant and pillaged the Roman empire under the tutelage of Atilla the Hun. Sewn in Texas by experienced seamstresses using our revolutionary Comprexx© fabric. Specifically made for powerlifting.